Grace Obstetrics & Gynecology has announced that Dr. Alyson Pico will join the practice beginning August 15, 2017. Dr. Pico will serve clients at the Texas Health Resources Harris Methodist Southwest campus serving the greater Fort Worth area, the Texas Health Resources Willow Park campus, serving Aledo, Benbrook,Willow Park and Weatherford and the Grace office in Granbury, serving Granbury, Stephenville and surrounding areas. Dr. Alyson Pico graduated from Austin College, attended medical school at the University of North Texas Health Science Center. 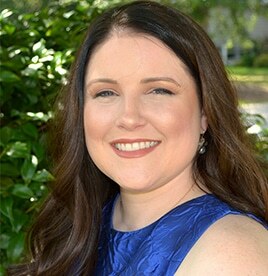 She completed her residency training in Macon, Georgia at Mercer University School of Medicine where she received awards from the Society for Maternal Fetal Medicine for Excellence in Obstetrics, AAGL for Excellence in Minimally Invasive Gynecology, and the Obstetrics & Gynecology Resident Research Day Award. To schedule an appointment with Dr. Pico, call Grace Obstetrics & Gynecology at 817-776-4722.